1. 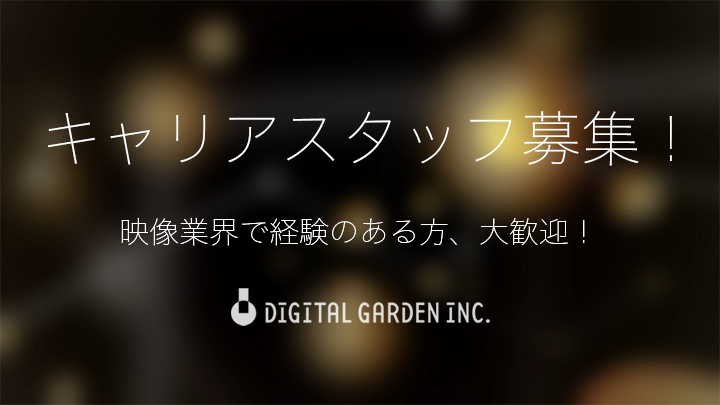 Compositor / Editor *Business level Japanese is required. 2. Colorist *Japanese speaker is preferred. 3. 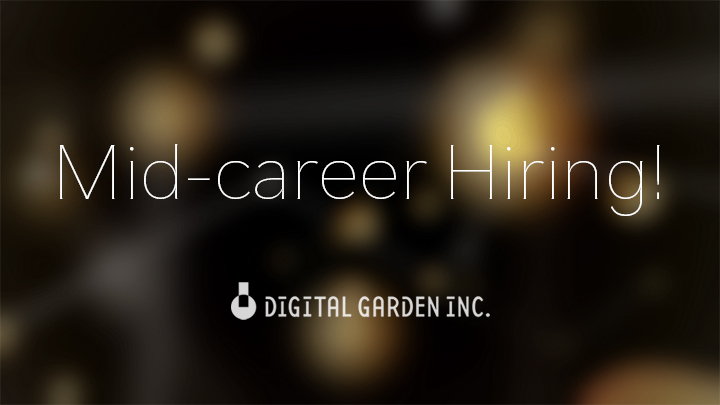 Editorial Assistants (Online and Offline) *Business level Japanese is required. 4. CG Producers, CG Designers *Business level Japanese is required. Saturdays and Sundays, National holidays, Compensated absence, Year end and New Years. Based on company regulations and standards. Trial period,Performance-linked bonus,Transportation fee,Various social insurance. 1.Please send us an email from here. 2.Submit your resume with following documents. *Please include your Japanese(Communication and Writing level)skills on the resume. *Please include if you posess the working VISA or not. *Demo reels are optional for CG Producers but required for Compositors, Editors, Colorists and CG Designers. If you have any questions or concerns, please send us an email from here.